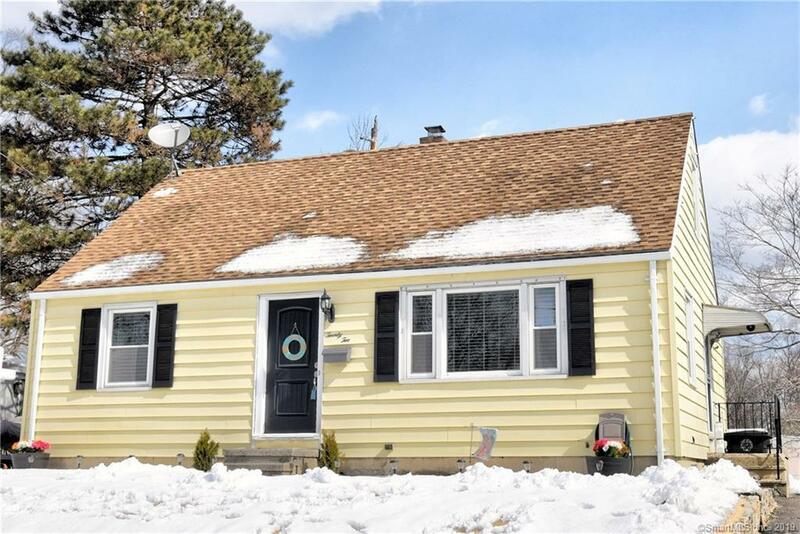 Nestled on a quiet side street, this beautifully remodeled home is a quick 10 minute walk to exciting Walnut Beach with it's boardwalk and arts community. Set up high and with plenty of windows this home gets a lot of sun and features a fully remodeled kitchen with white shaker cabinets, slate stainless steel appliances, dishwasher, granite counters, modern plank flooring, and an attached dining room area. A spacious living room, two bedrooms and a bathroom complete the downstairs while two more bedrooms are upstairs. The bathroom is also fully remodeled and features beautiful tile work and plenty of natural light. Other features include rich espresso stained hardwoods on both floors, updated doors/nickel hardware, crown molding in the living room, central ac, a long driveway, covered rear patio,thermopane windows, new light fixtures/wall sconces,custom blinds, and a large dry basement that's perfect for storage or possible finishing. Come see this special remodeled property and move in in time to enjoy all the summer fun that the Walnut Beach community has to offer!